TribLIVE – A mothers’ milk bank in Pittsburgh’s Strip District is overflowing to the point where a name change is in order. 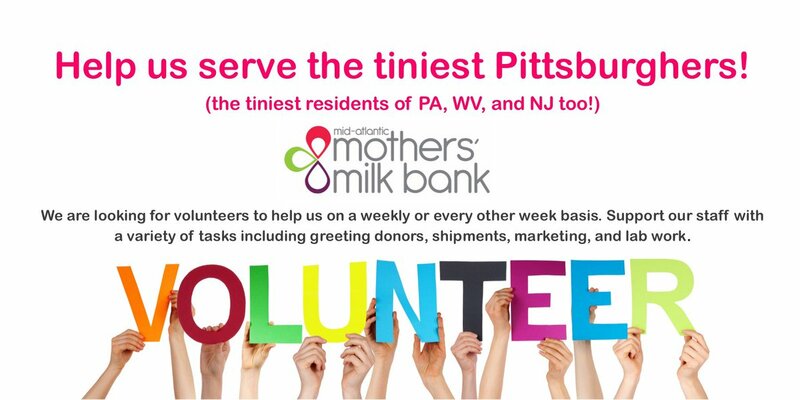 Three Rivers Mothers’ Milk Bank, which opened two years ago , announced it’s changing its name to Mid-Atlantic Mothers’ Milk Bank to better reflect the range of communities it serves. The nonprofit milk bank’s service areas include Pennsylvania, New Jersey, Maryland and West Virginia. In 2016, its first year of operation, the milk bank distributed 57,000 ounces of donated milk. This year, it expects to double that amount. “We have also secured Medicaid coverage for donor milk, which is a huge breakthrough,” O’Connor said. This year, O’Connor opened two donor breast milk depots – one at the Lehigh Valley Breastfeeding Center in Allentown and another at the Excela Square at Norwin in Irwin. In 2012, the American Academy of Pediatrics recommended babies weighing 3.3 pounds or less receive human milk. Breast milk protects preterm infants against diseases such as necrotizing enterocolitis, or NEC, an intestinal disease that can be fatal. Human milk can decrease the risk of NEC by 80 percent. Each year, 11 percent of the 140,000 babies born in Pennsylvania and West Virginia arrive prematurely. The milk bank partners with 20 Neonatal Intensive Care Units (NICUs) across Pennsylvania, including four in Pittsburgh to provided donated pasteurized breast milk. O’Connor’s goal is to collect and process at least 250,000 ounces of donated breast milk annually. Jessica Rhodes, 32, of West Mifflin, was certainly happy to use the milk bank’s services. Rhodes’ 1-year-old daughter, Braelynn, was born with an intestinal complication called duodenal malrotation that required surgery. During Braelynn’s hospitalization, Rhodes’ breast milk supply depleted, and donor milk played a large role in maintaining the baby’s health. She said the milk bank staff was knowledgeable and helpful. “What they do for children and mothers is incredible,” she said. Mid-Atlantic Mothers’ Milk Bank has distributed more donated breast milk to 20 hospitals through nearly 550 donors throughout Pennsylvania, New Jersey, West Virginia and Maryland. The milk bank charges $3.95 per ounce, which covers the cost of screening, pasteurization and processing. Rates can be adjusted based on income for people paying out of pocket. Ben Schmitt is a Tribune-Review staff writer. Reach him at 412-320-7991, bschmitt@tribweb.com or via Twitter at @Bencschmitt.